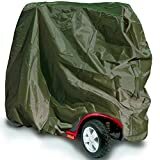 This mobility scooter rain cover will protect you and your scooter even in the worse weather and stop any water damage to your electrics. 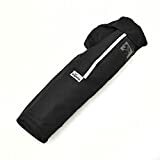 It is 100% waterproof with a pack away hood giving you complete protection. 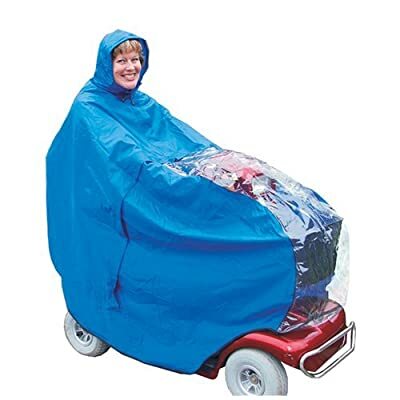 The rain cover has velcroed slots enabling it to be used on mobility scooters that are fitted with mirrors. 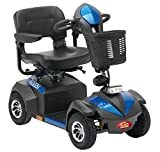 Protects you and your mobility scooter. 100% waterproof. Stops possible water damage to your scooter. 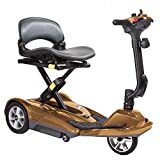 Suitable for most 3 or 4 wheel scooters. Fits scooters with mirrors.